We tested the latest diesel hatchback from the Tata stable for a little over 450 kms within & outside the financial capital, Mumbai. We are talking about the Tata Bolt diesel powered by the 1.3-litre Quadrajet engine sourced from Fiat. 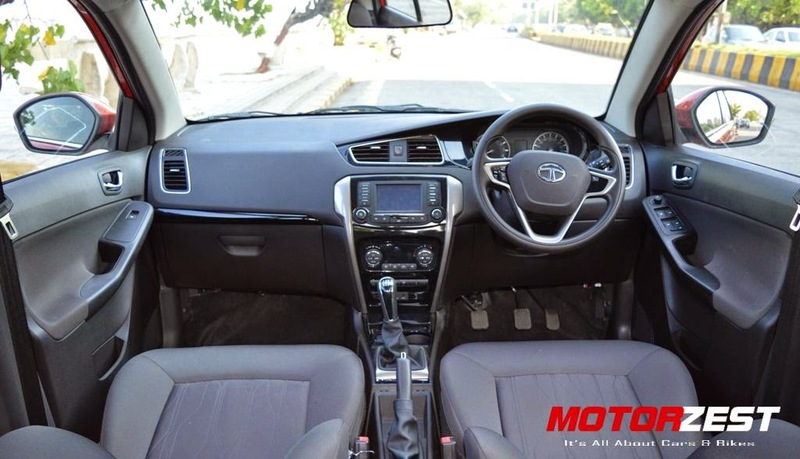 We had the fully loaded top-end variant XT with us and we tested its performance in city driving conditions and on highways en route Lonavla over several days. 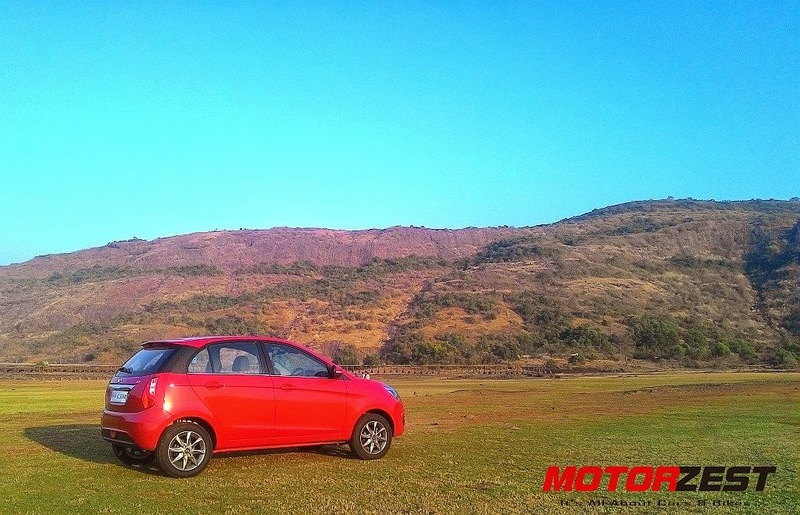 The Bolt thoroughly impressed all of us here at MotorZest with very little to complain about. The new Bolt grossly resembles the Indica Vista. The Bolt is longer by 30mm, taller by 12mm than the Vista. Ground clearance, wheelbase and width of the Bolt is same as that of Vista. The Bolt comes with a redesigned front bumper, projector headlights and honeycomb design front grill which gives it a fresh and aggressive look. At the back there is small spoiler added and a very different flame-shaped tail lamp unlike the Vista. The C-pillar is half covered by a sporty looking black graphic. The Bolt interiors are same as that of the Zest except the fact that it comes with all-black (Java Black) interior trim. There is no option for the beige-black dual tone trim in Bolt. 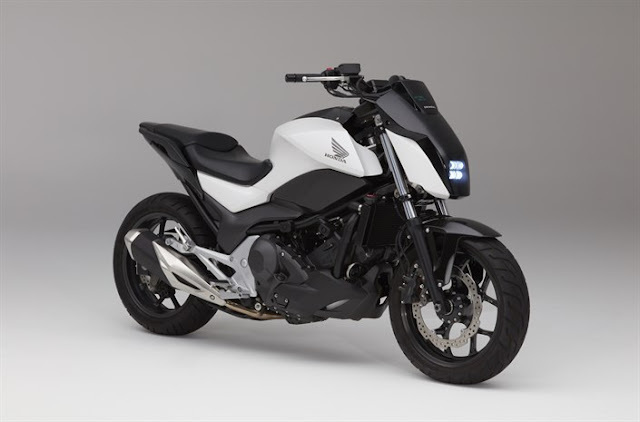 The full black theme gives it a sporty look and feel although many people would have loved to have the beige option available. Much like the Vista there is ample of space inside. The Bolt can fit 5 persons with ease with ample headroom and legroom for each. The only place that is not spacious is the boot. The boot has a volume capacity of only 210-litres which is less compared to the car of this size. The body hugging rugby shoulder seats are comfortable for long drives. The driver’s seat is height adjustable. The rear bench is wide enough for 3 people to fit in and also comes with adjustable head-restraints. Arm-rests on the doors are well laid out and are very useful on long journeys. The automatic climate control HVAC system is more than capable to keep you cool in hot summer afternoons. The best thing the Bolt can brag about is the ride quality. 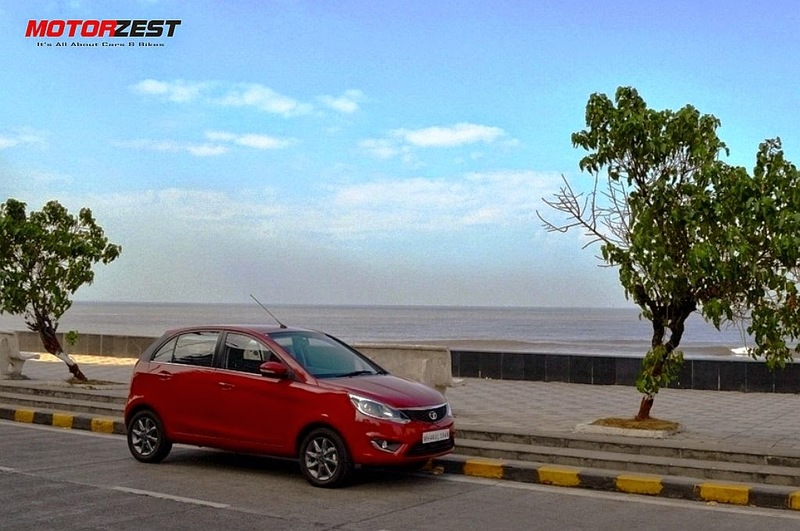 The Bolt flattens out all the rough, uneven roads and takes potholes with ease. The top-end XT variant sports a 175mm wide tyre fitted on to 15” alloy wheels (175/65 R15). Please note that the lower variants come with a tyre profile of 175/65 R14 fitted on a 14" steel wheels. The suspension combined with solid chassis gives you a comfortable drive experience on all types of roads. The ground clearance is decent enough to tackle the odd crooked speed breaker. In city driving conditions the Bolt feels very light thanks to the sensitive ePAS (Electric Power Assisted Steering) which makes the steering feather-light at low speeds. Combined with a smooth gearbox and a light clutch, driving Bolt in city traffic is breeze except the big size of this hatchback. Lack of rear parking sensor can make your life difficult if you have always had problem parking a car in tight space. On the highways the Bolt sticks to the road at high speeds and the ePAS tightens-up the steering, making the hatchback rock solid at speeds excess of 130 kmph. Requirements change when you drive long. And there were few things that we felt were missing. The bottle holder at the doors are small, it would have been great if there was a small compartment accessible to the driver to quickly keep your change and tolls tickets. The Bolt lacks a cup holder in front as well as at the back. On long rides you might want to keep sipping coke or a coffee or a Red Bull drink. These are all creature comfort things. Their absence doesn’t make a huge difference but makes life easy if present. The projector head lights are not that good on roads void of street lamps especially outside the city. The Bolt diesel comes with the old 1.3-litre Quadrajet unit which produces max power of 75 PS at 4,000 rpm and max torque of 190 NM across a flatter 1,750 – 3,000 rpm range. The diesel unit is mated to a 5-speed gearbox which is pretty smooth. Changing gears in Bolt isn’t a pain especially in traffic. The engine does make noise at higher rpms but the cabin is fairly damped to reduce the noise levels inside.The turbo lag isn’t that grossly evident and the Bolt does manages to zip through bumper-to-bumper traffic with ease. We made Mumbai-Lonavla-Mumbai long trip in this Bolt cruising on the Mumbai-Pune Expressway at speed of 130 kmph, fairly loaded, and even managed to touch 145 kmph at one point. The car feels very stable at high speeds and is aided by the ePAS which tightens the steering. Cornering is something that you won’t enjoy in this car. It is absolutely lazy at corners. Body roll is pretty much there. 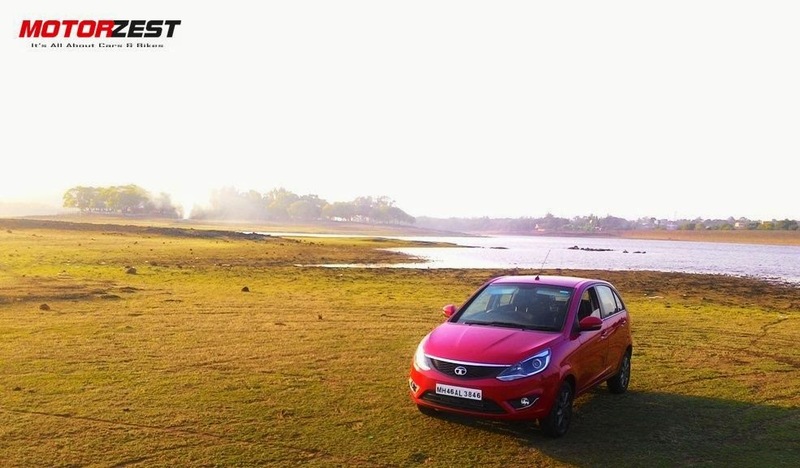 Throughout our 450 kms odd test ride, the Bolt diesel managed to return a mileage of 15.4 kmpl. Remember we tested it while pushing the car to the limits. With a more sober driving style one can easily achieve 18-20kmpl on highway. In city traffic you could get anywhere between 14-16 kmpl. The Bolt diesel starts at Rs. 5.75 lakhs (ex-showroom Mumbai) for the base variant XE while the top-end XT retails at 7.33 lakhs (ex-showroom Mumbai). In terms of price the Bolt falls in the league of Punto and is atleast a lakh rupees cheaper than the Hyundai elite i20 and Volkswagen Polo. The Bolt offers more value for money compared to others and thus it impresses us even more. 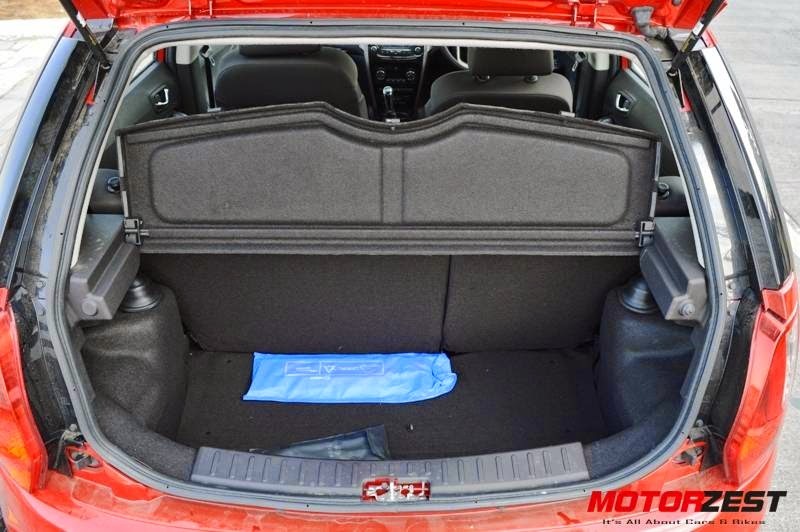 We recommend the Bolt for most of your needs in a hatchback. But one area of concern for the Bolt, or as a matter of fact for any Tata passenger vehicle, is the after sales experience. Tata is investing heavily in the after sales experience with the Horizonext strategy and let’s hope they offer a better experience to its customers.